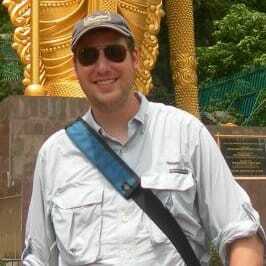 During my two years living in South Korea, I went to many different kinds of festivals. Some of my favorite, though, featured Korean traditional lanterns. In November of each year, the Cheonggyecheon Stream in the heart of Seoul gets lit up with over 600 different lanterns, spanning everything from corporate characters to images of traditional Korean life from the Joseon dynasty. Walking along the 1.2 kilometer length of the festival, gives you a great taste of Korean culture. With most of the lanterns perched in the stream, the walking paths are left to the thousands of festival goers who come out nightly to see the many colorful statues. 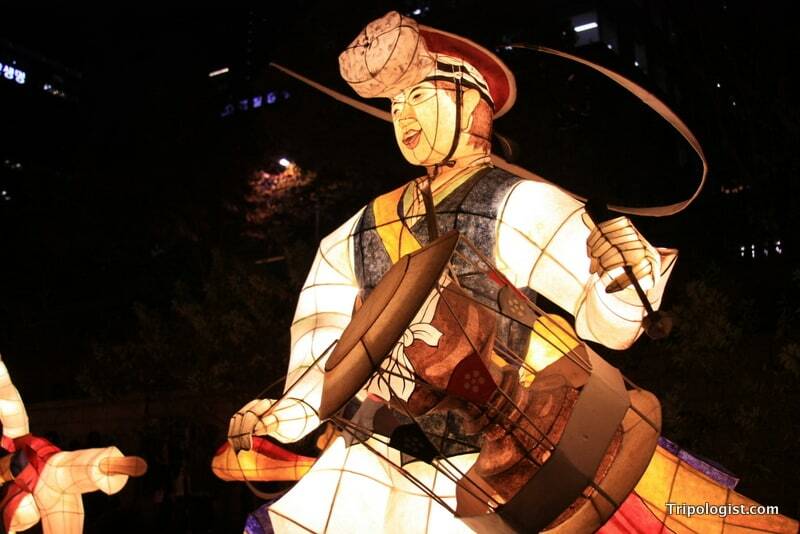 The 2015 Seoul Lantern Festival starts on Friday, November 6 and runs until Sunday, November 22. If you are going to be anywhere near Seoul during this time, I highly recommend checking out the festival. As the evening progresses, the festival gets more and more crowded, so I would recommend trying to check out the festival at dusk on a weekday to avoid the busiest times. Even if you show up after dark on a weekend though, it is well worth braving the crowds to see the festival. The festival grounds are held on the 1.2 kilometer stretch of the Cheonggyecheon between Cheonggye Plaza and Seungyu Bridge. The festival is free and runs from 5pm-11pm each night. To get to Cheonggye Plaza, you can get off at either Gwanghwamun Station on line 5 (Exit 8) or at City Hall Station on lines 1 and 2 (Exit 2). When you get to the end of the festival at Seungyo Bridge, you can head to Euljiro 3-ga Station on lines 2 and 3. For more information on the festival, check out the official website. Also, check out my article on the 2011 Seoul Lantern Festival for additional information. that is SO cool! I’m like a little kid when it comes to parades like that. If I moved to South Korea next year, I am definitely attending! South Korea is a great country to live in, and there are several other lantern festivals in addition to this one. If you need any advice on the move, let me know. Hello! I am planning a trip to Seoul this Oct. – Nov. However, I can’t find any dates for the Seoul Lantern Festival in 2015. Can you please let me know the dates of the festival or if it has been cancelled because of MERS? Thank you! That looks cool! Really want to go to South Korea!